Our wizard can help you find the perfect lift chair for you. Our "Zero Gravity" chairs allow for positions which promote good spinal alignment, better lung capacity, and improved circulation. We are proud to offer lift chairs from AmeriGlide. Luxury lift chairs at affordable prices. Golden Technologies manufactures some of the highest quality lift chairs on the market today. Each lift chair series is designed to meet certain needs whether they be economic, aesthetic, or medical. Pride is the world's largest maker of lift chairs and is a leader in new chair design and development. 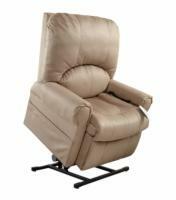 With a lift chair from Pride you will never have to settle for less than perfect. US Medical Supplies offers a variety of lift chairs designed to provide you with increased mobility and to improve your quality of life. At US Medical Supplies, choosing the right liftchair is as easy as clicking your mouse button. Just try out our lift chair wizard and you will be asked a series of questions regarding your size, build, and desired features. Once you have selected your lifting chair, call our experts to get special offers. Why Purchase from US Medical Supplies? At US Medical Supplies, we have provided thousands of customers with the right mobility product for their needs. Here are just a few reasons why US Medical Supplies is the leading provider on the Internet. 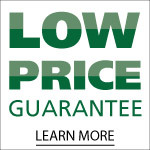 Value - We guarantee that you will not find a better total value on any lift chair anywhere else. We are so confident of our low prices that we will refund 150% of the purchase price if you find the same liftchair at a lower published price anywhere else. Our prices are so low that the manufacturers refuse to let us publish them! For an even lower price call us at 1-800-790-5104 or simply sign up for e-coupons to get our latest discounts. And remember, at US Medical Supplies you never pay for shipping on your new lifting chair within the continental US. Reliability - US Medical Supplies has partnered with the leading manufacturers in the world to bring you the highest quality products available. AmeriGlide, Golden, and Pride products are made in the U.S.A. and delivered directly to you. And with our Quick Ship option, you receive your chair within days of purchase. In addition to a 1 year in-home warranty, US Medical Supplies also offers extended in-home warranties for many of our models. You will not find a better warranty offered from any other retailer. Service - When you call most companies to purchase a mobility product, you may not even be talking to a native English speaker. Not the case with US Medical Supplies. When you call our dedicated toll-free lift chair number, you will be connected immediately to a factory trained specialist. No hold times, no wait, no hassle. That is the US Medical Supplies promise. In addition, if you ever have a problem with your purchase, we are available 7 days a week to assist you. 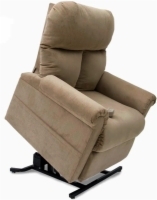 Selection - With literally hundreds of fabric, color, and style combinations to choose from, it's easy to see why US Medical Supplies is the premier provider of lift chair recliners on the Internet. 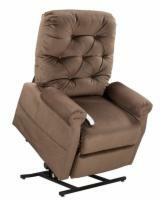 No matter what your home decor, we have an electric lift chair to match. As always, if you have any questions please contact one of our experts.